TMC Practice Management Services offers a comprehensive suite of billing and reimbursement solutions that improve the financial health of your practice. Unlike other medical billing companies that charge a fee based on the total amount of medical services rendered, TMC charges a fee only on the amounts collected after the date of service. Our fee approach actually encourages your office to collect as much as possible from patients up front. When you partner with TMC, your practice enjoys all the benefits of the world's leading practice management technology – GE Centricity® – in our base price, determined by a percent of what TMC collects on your behalf. Our time to go live from contract signing is two to three weeks during which time we convert your current patient demographics into the Centricity system, train your staff and customize all forms. There are no upfront, hidden or additional charges for these services. Award-winning, state-of-the-art technology from GE Centricity. Fingertip access and real-time information that keep TMC and your practice connected. With its open architecture, GE Centricity offers outstanding capabilities to integrate other technology-based applications as you add them. Biometric-secured data center. 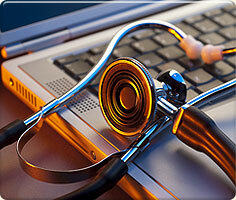 Daily back-ups, redundant servers, HIPAA and disaster-plan compliant. Live customer service. From 8:30 a.m. CST to 5 p.m. CST, Monday through Friday, TMC is here to manage patient, insurance company, and client calls. Set-up, maintenance and upgrades. TMC manages and updates the system at no cost to you. System training. Enjoy personal, one-on-one training and even upgrade training by our staff at no cost. Customized superbills, patient profiles and reports. Unlike most medical billing companies, TMC will make unlimited changes at no cost. Daily claims submissions. All claims are submitted within 24 hours of the service provided to accelerate the reimbursement process. Daily EOB, payment posting, daily balancing. TMC assigns a personal team to your account to handle your daily EOB posting and balancing, insurance reworks, secondaries, and patient statements. Secondary claims are made promptly and claim reworks are performed daily. EOB scanning. Performed directly into the patient's account via our integrated scanning solution. Claim reworks and denials. Our process exceeds MGMA's best practice standards in accounts receivables management. No more stacks of ignored reworks that blight your bottom line. Patient statements. Zero delay. Your patients receive monthly progressive statements to help you better manage account balances. Delinquent patient account process. Customized to your practice. A/R management. TMC performs monthly audits to ensure our A/R department meets all quantity and quality standards. We even give your employees monthly bonuses to exceed these standards. Client management. Our team works directly with your staff to ensure that operations run smoothly and effectively. There's nothing more important to us than exceeding your expectations. Practice management reporting. From patient reminder letters, referring physician reports, productivity analysis and daily deposit reports, to summary and detailed A/R reports, TMC gives your practice around-the-clock access to more than 150 customizable report templates. We even include your logo on letters to your patients. Missing and delayed charges. TMC's billing and reimbursement system is integrated with scheduling to eliminate missing or lost charges. Our Missing Ticket Report ensures charges are never missed. Our Date of Service vs. Date of Entry Report allows you to review timely submission of charges to identify any delay in charge entry. Everything you need to manage your practice efficiently, affordably and profitably. For more information, contact TMC Practice Management Services or call us at 918.728.8405. ©2012 TMC Practice Management Services. All Rights Reserved.